In hopes of stabilizing individual insurance markets, the idea of reinsurance—a product designed to protect health insurers against the financial risk of covering high-cost enrollees—has attracted bipartisan interest from state and national policymakers. Alaska, Minnesota, and Oregon have already implemented state-based reinsurance programs under the Affordable Care Act’s (ACA) 1332 State Innovation Waivers and further waiver applications have been approved for reinsurance programs to begin this year in Maine, Maryland, New Jersey, and Wisconsin, with the Centers for Medicare and Medicaid Services (CMS) recently releasing 2019 federal pass-through funding amounts for each program. In a new article for INQUIRY: The Journal of Health Care Organization, Provision, and Financing, SHADAC researchers Lynn A. Blewett, PhD, and Brett Fried, MS, along with Coleman Drake, PhD, at the University of Pittsburgh, estimate the costs of implementing state-based reinsurance programs in four large states whose size provides a useful cost-projection base for other state policymakers considering reinsurance programs. The article also projects the cost of a federal reinsurance program, which existed on a temporary basis when the ACA first launched in 2014 and expired in 2016. Using health spending data from the 2007-2016 Medical Expenditure Panel Survey (MEPS) and state demographic and health insurance coverage data from the 2015-2017 Current Population Survey Annual Social and Economic Supplement (CPS-ASEC), the article examines the potential for state-based reinsurance programs in California, Florida, Illinois, and Texas. 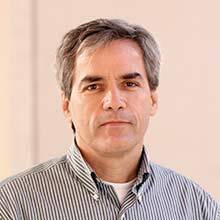 The authors’ calculations encompassed a variety of hypothetical reinsurance program models. All projections used a reinsurance cap of $250,000, but varied the lower-limit of reinsurance coverage from $20,000, $40,000, and $60,000, and also adjusted the percent paid to insurers from 70 percent to 80 percent to 90 percent. For California, estimated program costs ranged from $0.7 billion to $2.3 billion. Florida’s estimated started at $0.5 billion and grew to $1.6 billion. Projected costs in Illinois varied between $0.2 and $0.8 billion, and estimates for a reinsurance program in Texas went from $0.4 billion up to $1.3 billion. In recent years, Congress has also considered proposals to reinstate a federal reinsurance program, which would support state-based reinsurance by directly appropriating funds for financing outside of the ACA state waiver approval process. Using the same MEPS and CPS-ASEC data sets, the paper projects that a national program with an average 80% payment rate and a lower limit of $40,000 would cost $30.1 billion from 2020 to 2022, or roughly $10 billion per year—an estimate in line with projections from the Congressional Budget Office (CBO) and the budget limits provided in the Bipartisan Health Care Stabilization Act. 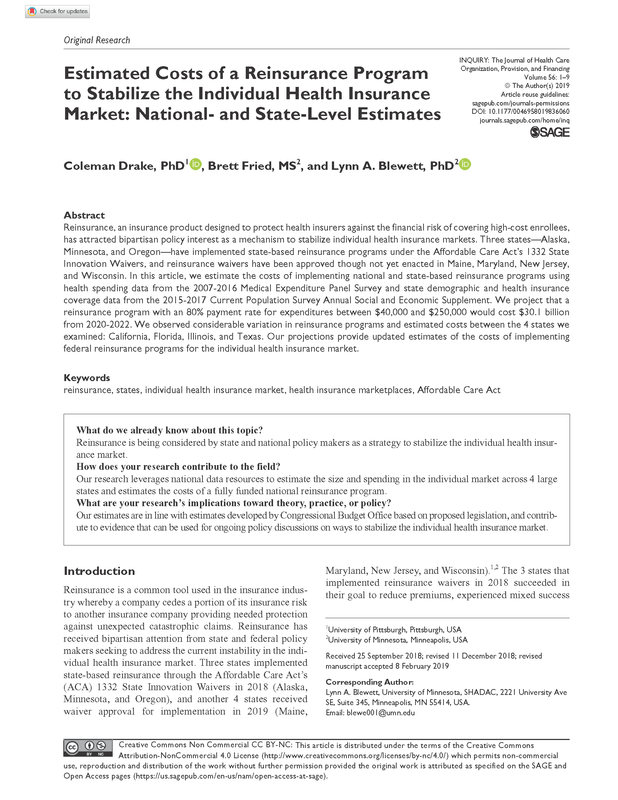 Read the full article for more detail on the data and methodology used to estimate costs of state and national reinsurance programs. This project was funded in part by a grant from the Robert Wood Johnson Foundation.